The UKCA darts club play on a Wednesday from 7:30 pm and usually finish the night's fun when the bar closes. We have three dart boards set up with electronic scorers and new rubber surrounds and wooden oches. The atmosphere is very friendly and the darts continue all night with short rests to put the world to rights and order a fresh beer. All UKCA members and guests are very welcome to join in anytime and a sense of humour is a definite advantage. A small subscription of €1 is collected from all who attend, this is put towards all the equipment and the constant renewal of boards. Any funds that are left at the end of the year are put towards our Christmas bash which is held at the club and any member who has attended for 50% of the year is entitled to be included. 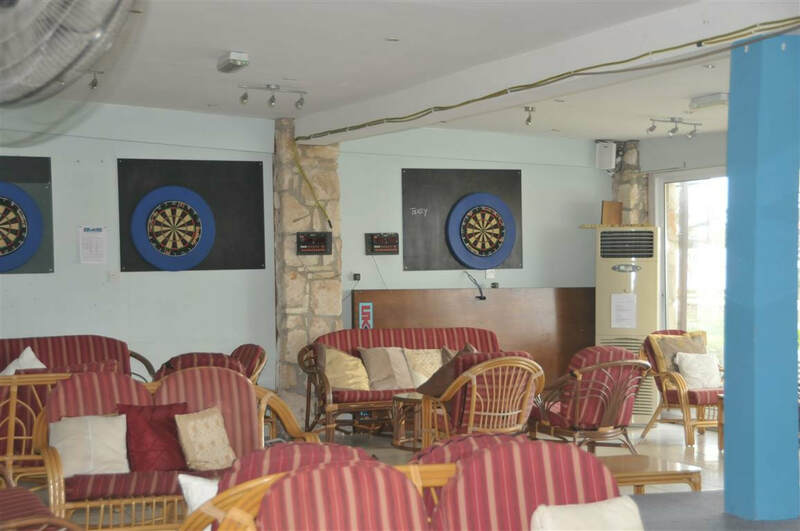 We also run a successful team from the club and are currently in the first division of the Pafos darts league. The team consists of 9 regular players with several reserves and new team players are always wanted for the start of every season. We hope to see more new players joining us so why not come along on a Monday and meet the gang.